It takes a special set of attributes to lead a school in today’s modern age – leadership, passion, vision and most of all, a love of education and desire to see students thrive. Greg Mattiske is one man who ticks all these boxes, and then some. But at the centre of his world, driving him to be the best husband, father, leader and Principal of Suncoast Christian College in Woombye, is his faith and beloved family. Greg Mattiske has been teaching for longer than he hasn’t. Beginning his career in South Australia straight out of university at just 21 years of age, he has been shaping the hearts and minds of our youth for some 28 years, 20 of which have been at Suncoast Christian College, where he was appointed Principal last year. Previous to that, he worked in Tasmania, where he met his wife Rowena, also an accomplished teacher, before relocating and working together on the Gold Coast. It wasn’t long before Greg’s natural leadership skills were recognised at the college and during the course of the next few years, he progressed to Head of Middle School, Director of Teaching and Learning, Deputy Principal, Acting Principal and most recently, Principal. “I have always been one to take the initiative and jump into a new role, boots and all,” says Greg. “We were one of the first schools on the Sunshine Coast to embrace the one-to-one take home laptop program. That necessitated quite a transition for teachers in terms of their methodologies and really transformed their teaching practices. It was an exciting time too. We saw a real spike in engagement from students in their learning. But despite his accomplished career, first and foremost Greg Mattiske is a family man who says the most significant thing he has achieved in the last 22 years is raise his three children with Rowena while navigating the family through some pretty tough years as Rowena battled an ankle injury that eventually led to a brave decision three years ago that changed their lives forever. “We were tracking along like everyone else, with a relatively normal life, when everything changed 13 years ago when Rowena had an injury at work which seemed like a fairly insignificant thing at the time – she rolled her ankle on duty at lunchtime. Although it first presented as a simple sprain, a small piece of bone had actually torn off inside her ankle which interfered with the joint and destroyed the cartilage. It wasn’t picked up for nearly 10 months and did irreversible damage,” says Greg. Managing acute pain and limited mobility became daily challenges. “So we began a 12-year journey trying to fix it. She had some very progressive and remarkable surgeries in the early days, including cartilage transplant, and hopes of a return to a normal life were high. But the joint would not heal and things seemed to deteriorate each year rather than improve which was a nightmare. Rowena had an average of two surgeries a year which put the family into a constant cycle of surgery, recovery, disappointment and waiting for the next surgery, when hopefully things would take a turn for the better. “With most challenges in life, generally you can see an end point, but there was none in sight which was especially difficult. People ask how we’ve done it – the answer is one day at a time. We’ve had to learn to surrender our hopes and dreams, trusting God every day to give us the strength we need and to accept our situation. Trusting God with simple faith is the place that all of us, and particularly Rowena, have learnt to rest. Of course this has been by the thinnest of margins on many days. “As a family, we didn’t want the kids to feel they had missed out, or to be resentful and bitter so we’ve worked hard to remain positive, to be thankful and grateful rather than focus on the losses. 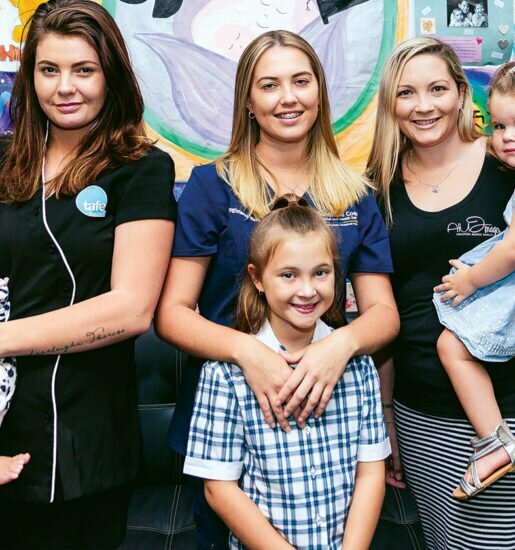 The kids have had to shoulder a lot more responsibility than most other young people growing up as Rowena was in and out of hospital and rehab for so much of the time. They are stronger and better people for it. It was not a choice to give up; you have to keep going, but it has been a very tough and long road. The hardest part of the family’s journey came in 2013, when Rowena made the decision to have her leg amputated below the knee after the great many cutting-edge surgeries and procedures to fix the ankle had failed. “2014 was a really tough year. Rowena was on extremely high medication and her daily life was geared around drug regimens to deal with the chronic pain. She simply said that she’d had enough. The only way forward that she could see for a better future with less pain and more mobility was to have the ankle removed,” says Greg. It was at this point that Greg wondered for the first time in his life if he had the resources to get through this next phase. The effects of the long term stress were manifesting in his physical health so much so that dizziness and random panic attacks were daily occurrences. Turning to daily rigorous exercise as a form of stress relief to cope, Greg says it was the lifeline that saved his mental and physical health. It took a few weeks, but the difference in his stress levels and the way he felt was extraordinary. In time he felt his buffers returning which gave him the strength he needed to help Rowena and the family through this difficult period. “I feel like I have made this amazing discovery,” says Greg. “Rather late, but better late than never. The connection between our physical and mental health is remarkable. I have become a bit of a fitness freak. Over the years, I wasn’t sure I was even up for being a Principal because of the stressors associated with the role, but now I have found a way through fitness to deal with stress and to keep a clear head, which allows me to be a better dad, a better husband and a better boss. It keeps a smile on my face. And prepare him it did. Rowena proceeded with the surgery in 2014, which was a success, and things went quite well for a few months before the pain returned in the form of nerve rather than bone pain. 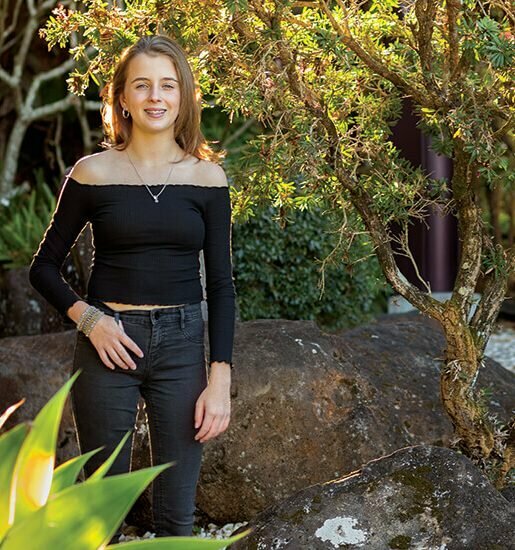 Rowena had heard of world-leading Australian surgeon, Doctor Munjed Al Muderis, who was pioneering a brand new future for amputees with osseointegration surgery and this offered her a ground-breaking solution. “Ro underwent the procedure in June and September last year. She is now one of 10 people in the world with a hinged replacement knee incorporating titanium rods bonded in her tibia and femur. At the base of her stump, the rod protrudes through the skin and simply attaches to her prosthetic limb with an Allen key,” says Greg. Obviously Greg is incredibly proud of his wife’s tenacity and determination to overcome her ongoing health battle and lead a normal life. However, according to Rowena, it is not something she could have done without his unwavering support. “My journey has been such a difficult one and Greg has just been phenomenal,” says Rowena. And when it comes to all she has been through, Rowena is refreshingly philosophical about her journey. “People often tell me they feel bad about telling me their ailments because mine are so much worse, but I say that we all have hard things in life. The mistake we make is that we grade their importance and judge others according to how we rate their hardship. Things are certainly looking up for the Mattiske family and 2017 is shaping up to be one of their best yet. 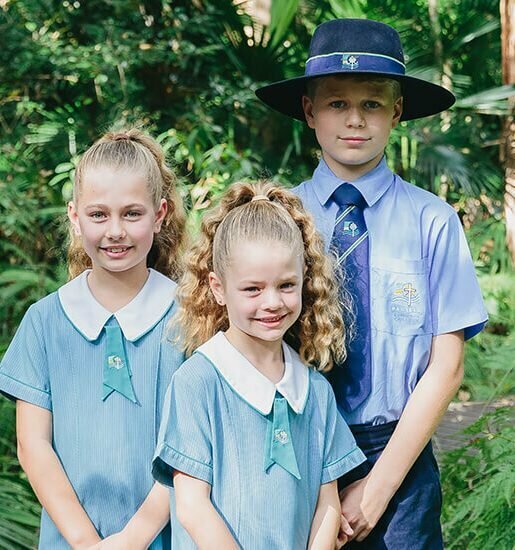 With Greg at the helm of the college, their three children at university and Rowena finally enjoying better health, the school is certainly in great hands. “The staff at Suncoast Christian College have been so supportive through all of this,” says Greg. “As parents who have put three children through the school, we are so glad our kids were part of this community. It’s such an extraordinarily faith community and a truly nurturing environment; the peer groups are fantastic and the connection between the students and the teachers is very genuine. But it’s not just their academic success that Greg credits the school for – it’s the Christian faith and values that Suncoast instils in their students that has stood them in excellent stead for the future. “The school is interested in developing the whole person. Who they are in terms of their character is more important than anything else. Of course grades are very important, but character is what is going to sustain students through all the seasons of their lives. Suncoast Christian College also shines in the performing arts and sporting arena. “We have always had a strong performing arts program, due in part to the contemporary nature of our church culture. The chapel band is second-to-none – there is not a teacher on stage, the kids run it all themselves. And despite being at the helm of the college, Greg is still mindful of the challenges today’s teachers face and is passionate about ensuring his staff are supported and encouraged. “I think it is very challenging for teachers these days,” says Greg. 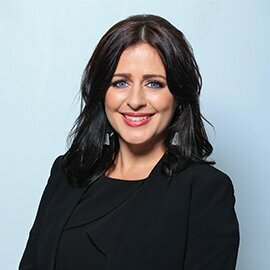 “An important mission for me is to ensure that teachers feel enthused about what they do – that they have space amidst the demands of the profession to bring passion and creativity to their work and not feel overwhelmed by all they need to do. And when it comes to his new role at the top, Greg is both modest and humbled. Perhaps the best illustration of what the college is about occurred at the formal last year. You can see the passion in Greg’s eyes as he talks about his beloved school, students, staff, and his vision to ensure every student is nurtured to be the best version of themselves. A beautiful story about an outstanding family! I have been a parent at Suncoast Christian College since 2003 and have been witness to the Mattiske story. This family is truly inspirational. Gorgeous humans all of them. Blessed. Ruth & I are very dear friends of Greg’s parents here in Adelaide. We have supported Greg’s parents through their journey with their dear daughter-in-law, Rowena and her long ill-health & of course Greg & their three children too. Ingrid, you have written a very wonderful & truthful account of the Mattiske’s journey. Congratulations. We have been enthralled by the T.V. programmes on Dr. Munjed Al Muderis. We are so pleased that this former Iraqi doctor is now part of our Australian way of life and that he was able to help Rowena after so many years of disappointments. Finally, the emphasis that I read in your article is the inter-relationship of the Mattiskes faith and the importance of a holistic approach to life that brings their faith into their living – physically, mentally and spiritually. What a benefit to the community & in particular to the families at Suncoast Christian College. Hi to Editor Ingrid, we have just read the beautiful article on our dear son Greg Mattiske, his beautiful wife Rowena, and their amazing kids, Jon, Caleb and Sally. We’ve both cried as we made our way through it, experiencing once again the highs and lows that they as a family have journeyed through., as of course have those of us who love them dearly! We want to commend you highly for presenting such an accurate account of their walk, highlighting the fact that as a family they have triumphed in spite of their past obstacles…..our precious family have learned so much about being supportive, compassionate, accepting AND not to “throw in the towel”. …..great attributes to serve them for the remainder of their lives. We are VERY proud and thankful parents. Thank you wholeheartedly for putting their story “out there” to encourage others who find life tough at times. Dennis and Jan Mattiske, Adelaide, Sth. Aust.